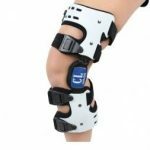 The Hinged Knee CK111 brace offers patients an open wrap knee brace design that offers a flexible application, it provides exceptional support through postoperative or post injury rehabilitation. The ROM hinge provides stability and may be adjusted to limit extension at 0°,15°,30°,45°,60° setting. 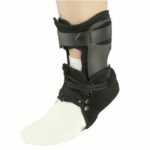 The Wrap around front closure style allows easier application and adjustable tension while the medial and lateral hinges adds additional ligament support. 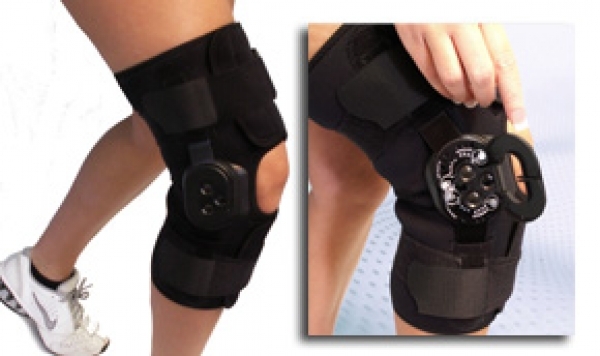 This brace also offers covered hinges which allows the brace to be worn during contact sports. 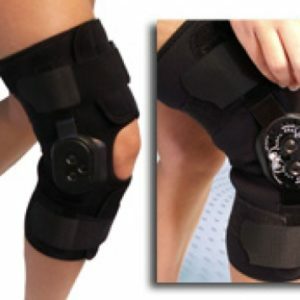 The moisture wicking fabric and elastic straps above and below knee help prevent migration. 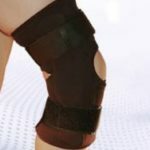 Patients with minor knee ligament strains and stretches or meniscal damage can benefit from added support to help prevent more serious injury. The cool, breathable spacer mesh provides support, compression and warmth to the knee. All this comes with easily adjustable hinges for ideal anatomical placement.